Joya Ahsan is a Bangladeshi popular actress and model. She predominantly works in Bangladeshi and Indian Bengali films. She is the recipient of several awards, including three Bangladesh National Film Award for Best Actress and six Meril Prothom Alo Awards. Joya Ahsan was born on 1 July 1972 in Dhaka, Bangladesh to Md. A.S. Masud and Rehana Masud. She has two sisters and one brother. Along with her study, she took a diploma course in Rabindra Sangeet and training in classical music. Although, he father wanted her to be an employee, she was interested in building her career in music and drawing. She was the most passionate about art and music which pursue her to open a music school later on. Joya Ahsan made her television debut in teledrama Panchami. 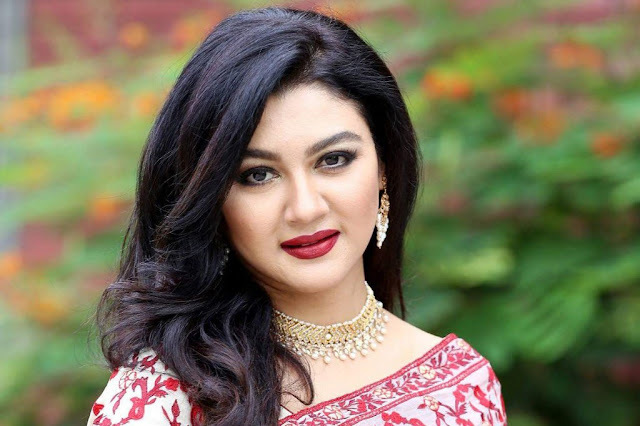 She made her film debut as a special appearance in 2004 Bengali film Bachelor, which was directed by Mostofa Sarwar Farooki. She made her lead role debut in 2010 with the film Dubshatar. Then she acted several notable and award winning films such as Guerrilla (2011), Chorabali (2012), Purnodoirgho Prem Kahini (2013), Zero Degree (2015), Rajkahini (2015) and many more.